Lately, I’ve been doing most of my home furnishings shopping in the alley and thrift store. But last week, I wanted to price some small sofas for my mother-in-law’s apartment, so I made my semi-annual* trip to the nearest Chicagoland IKEA. IKEA is a swirling vortex of my least favorite things: shopping, driving and being around indecisive people in strange suburbs. 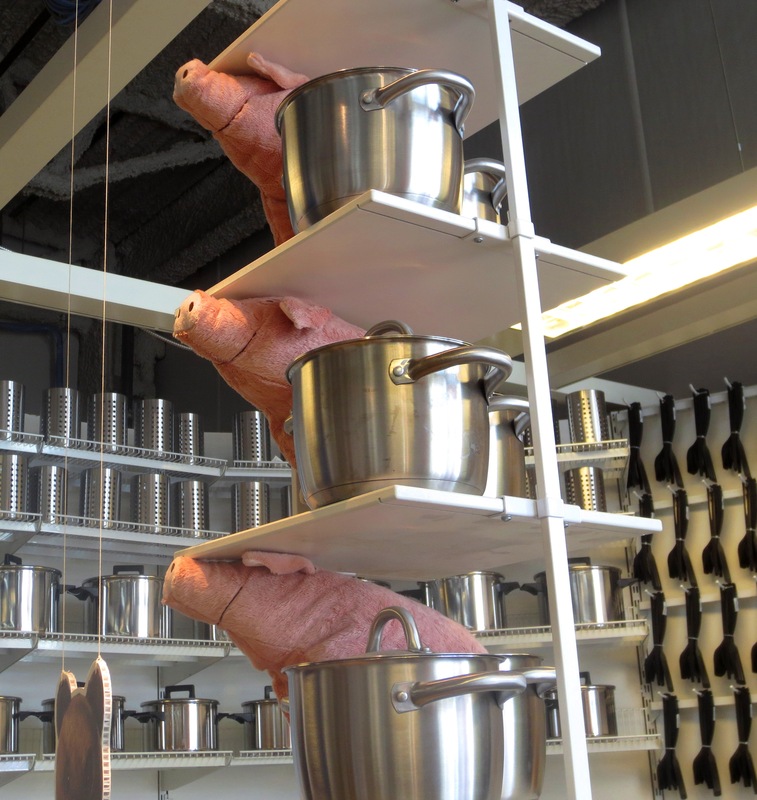 But over the years I’ve figured out how to make the IKEA experience a tolerable, even mildly pleasant one. Any fool with an internet connection can advise you not to shop there on a Saturday, or to make a list, or to take measurements before you leave the house, because that’s true of any shopping trip. But today you’re going to finally learn what you’ve been doing wrong all these years, with Projectophile’s handy list of IKEA DOs and DON’Ts. DON’T shop with your spouse or significant other. I only go with my friend Bjorn (not his real name). Why? 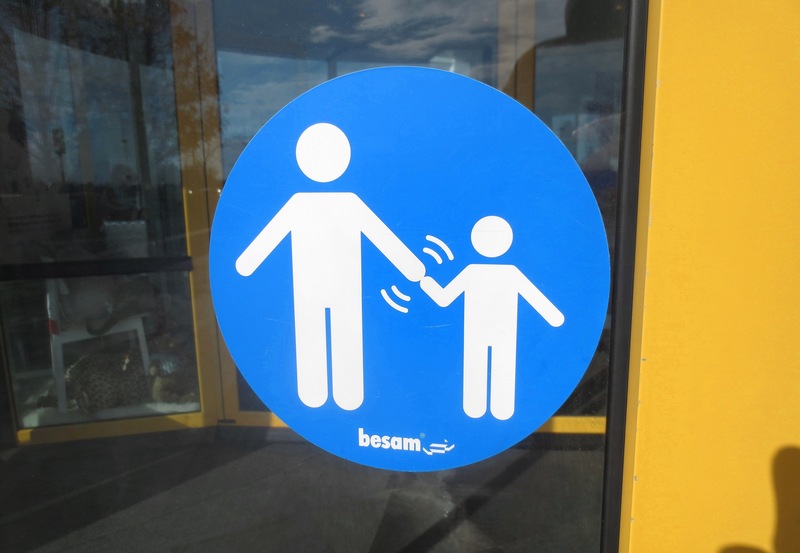 Bjorn is the perfect IKEAmate: a pleasant man who has known me for ten years, understands my lifestyle and taste, and cares about my well-being. But more importantly, he doesn’t have to live with the consequences of my decisions, so there’s no bickering. 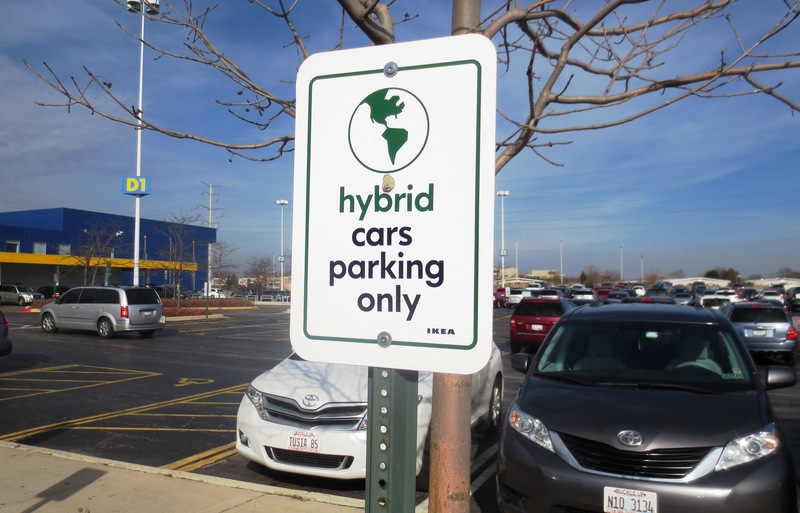 Plus, his hybrid car means we get to park ten feet closer to the door! DO wear comfortable shoes at least one size too big to account for the inevitable foot swelling. 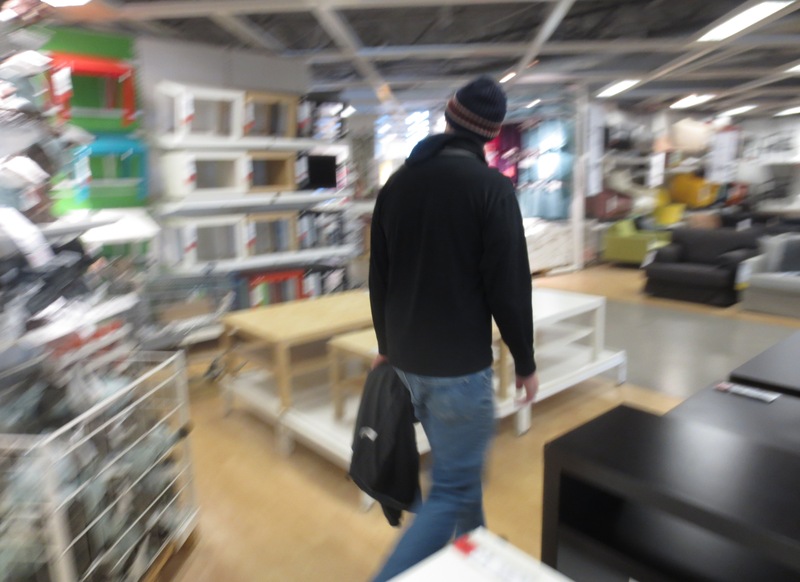 The average IKEA shopper will walk at least 9 miles, mostly in circles, before she finds that perfect coat rack. At least three of those miles will be in search of a bathroom. DO be a neighborhood hero. Nobody likes going to IKEA. Ask your friends and neighbors if there’s anything you can pick up fo r them while you’re there. DON’T wear a yellow shirt. For the same reason you don’t wear red to Target or a black turtleneck to the Apple Store: desperate people will ask you questions. I begged an innocent young woman in a yellow shirt to show me how a sleeper sofa opened. Once I realized that she was a civilian, I was too embarrassed to end the tutorial (plus, she was good at her “job!”). Later, I spotted her in the check-out hiding beneath her husband’s green sweater. DO block out the entire day for shopping. If possible, free up the early evening as well for recovery and reflection. Bjorn and I ended our IKEA day by sitting in a dark room, sipping a cleansing kale-banana-and-ginger smoothie. 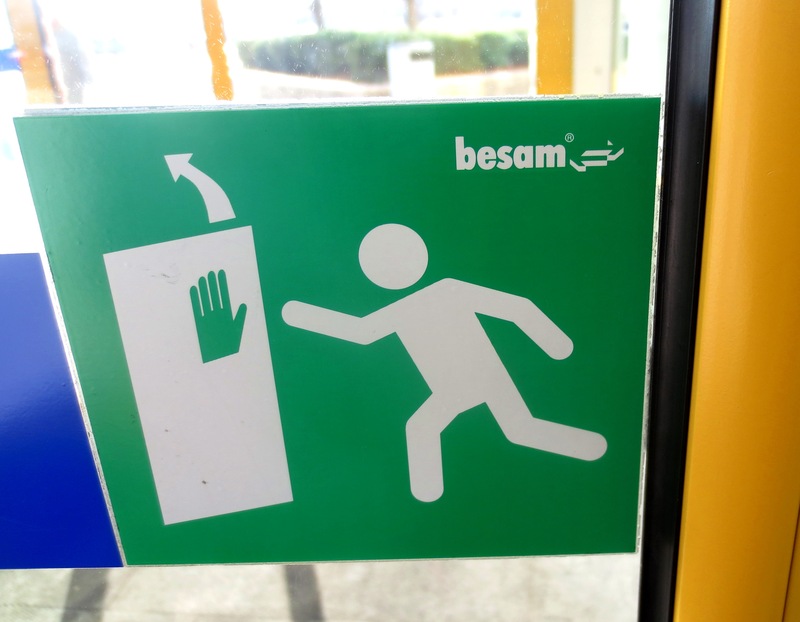 If you’ve lost your hands and feet, immediately run on your stumps to toward the giant hand on the door that is pointing up. DO sit down and eat as soon as you arrive. Deep-sea divers know they’ll get the bends if they immediately plunge to the ocean floor. You, too, need to slowly acclimate to the pressure of the IKEA-nviornment. Plus, the drive from Chicago to its Northwest Suburbs is traumatic; Bjorn and I always get tangled up in some tentacle of O’Hare International Airport (ORD). 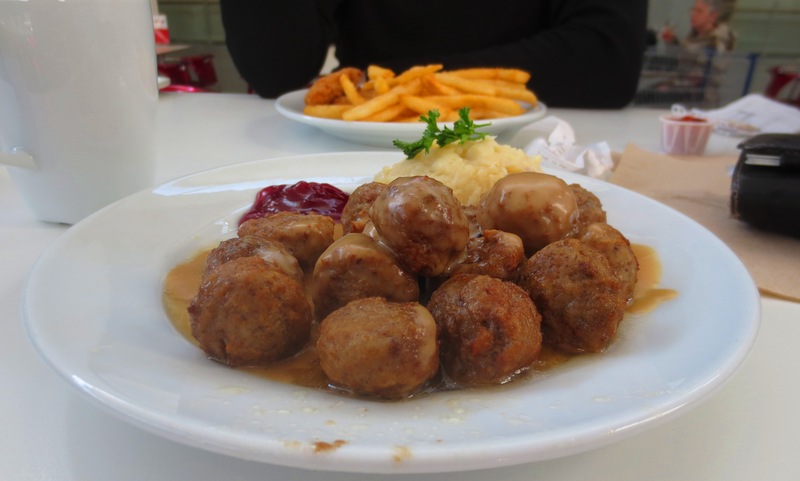 The lunch break is a good time to discuss why we didn’t just give in, hop on the next flight to South America, and — hey, meatballs! 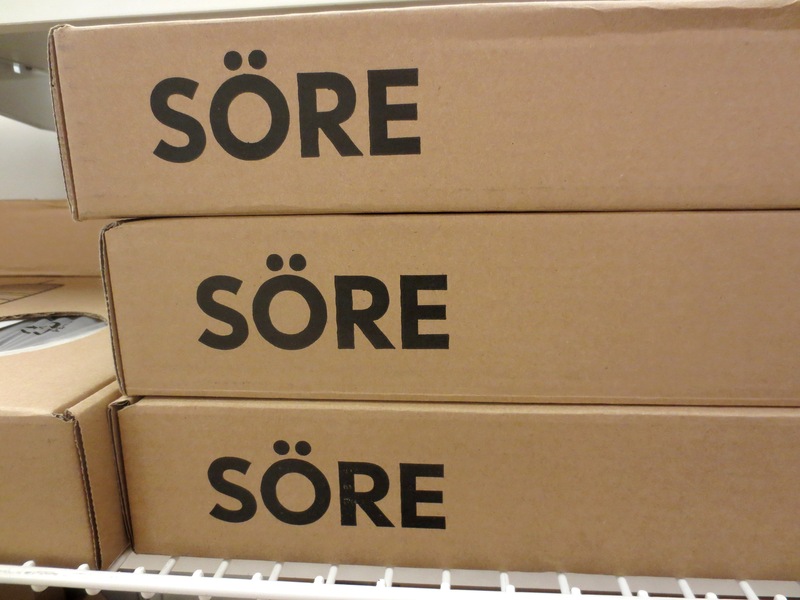 DO assume code names while on IKEA property. You never know who’s listening. 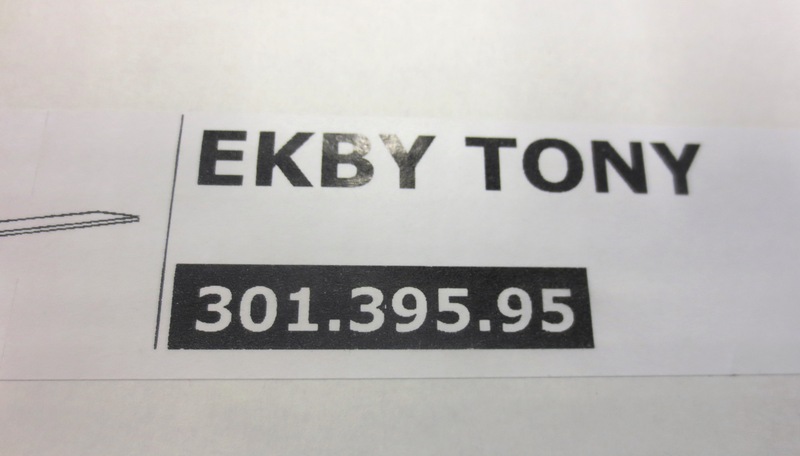 For example, I called Bjorn (not his real name) “Ekby Tony” in a faux Brooklyn-Italian accent. DON’T steal a bunch of these tiny pencils. You’re not actually Sticking it to The Man. 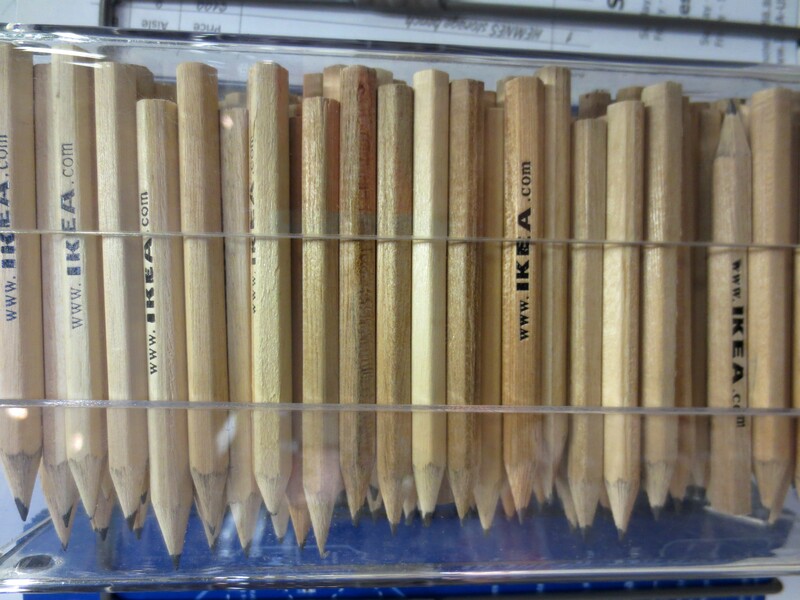 These pencils are carefully engineered to only reach the second knuckle of an adult finger, rendering them useless beyond their purpose of scribbling bin and aisle numbers. 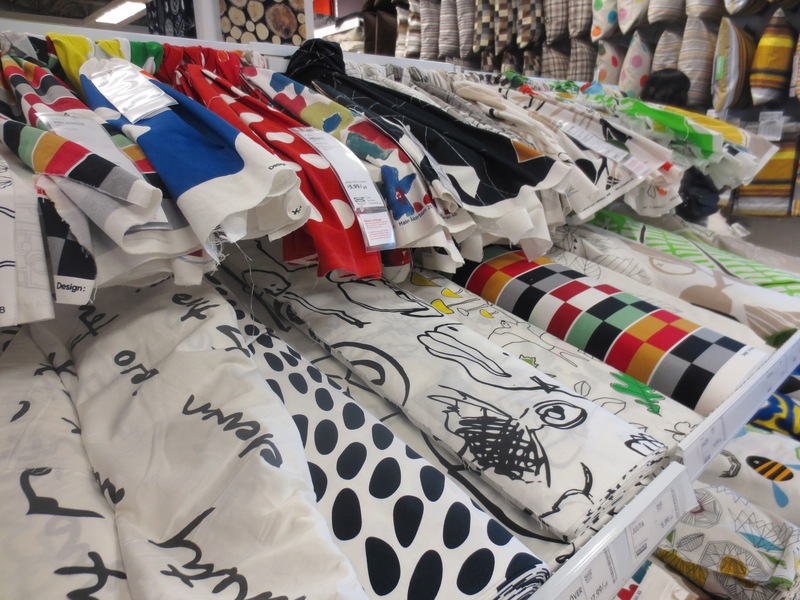 Fabric: By the yard, it’s cheaper than your big-box craft store. Choose from dozens of consciousness-expanding (occasionally disturbing) European designs. 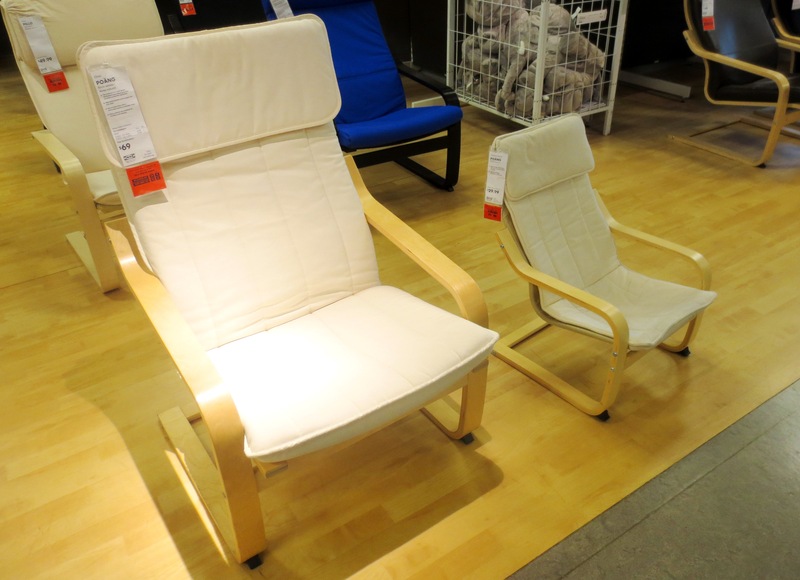 POANG: Generally, I don’t recommend buying IKEA furniture, but this classic chair — made from solid bent wood — is sturdy, comfortable and cheap; my favorite chair for nursing. But save a trip to the ‘burbs: on any given day, you can find a dozen for sale on Craigslist. If you leave Poang chairs alone together long enough, they will reproduce. This is why IKEA has such low prices. Suitcases! I didn’t know IKEA sold suitcases either, until I found a used one at my local thrift store for a dollar. 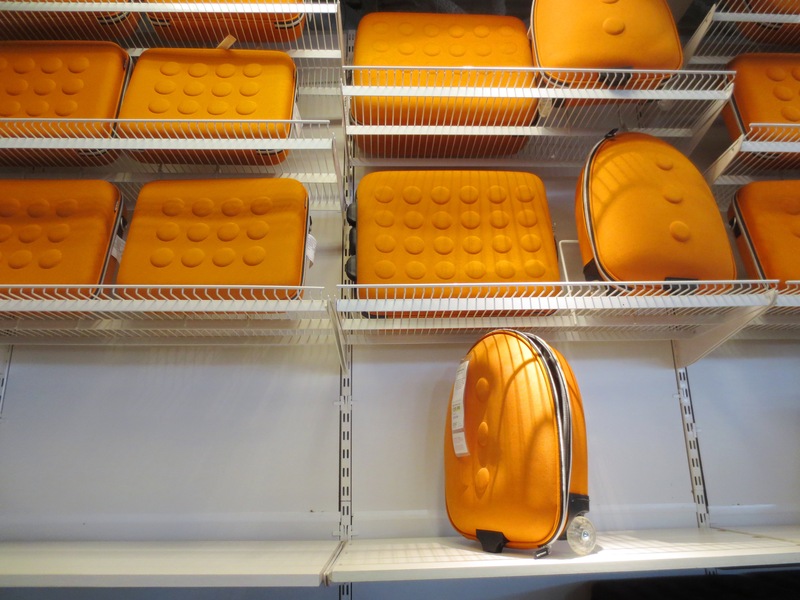 They’re more than just giant orange LEGOs you can take on an airplane — these cases feature ultra-smooth rubber wheels that allow you to sneak off silently in the night without waking, say, an unsuspecting husband. Knives. Regular silverware is fine, you can get that stuff anywhere. But for serious cooking, just spend the money on a set of Wusthof or Henckels. Non-stick pans. These pans are so crummy that one on display actually fell off its handle, and it was STILL ON DISPLAY! Also, Teflon = Death. Just get a cast-iron skillet at a yard sale and learn how to use it. Couches: So low to the ground it hurts my knees just to look at them. Don’t let the catalog fool you! 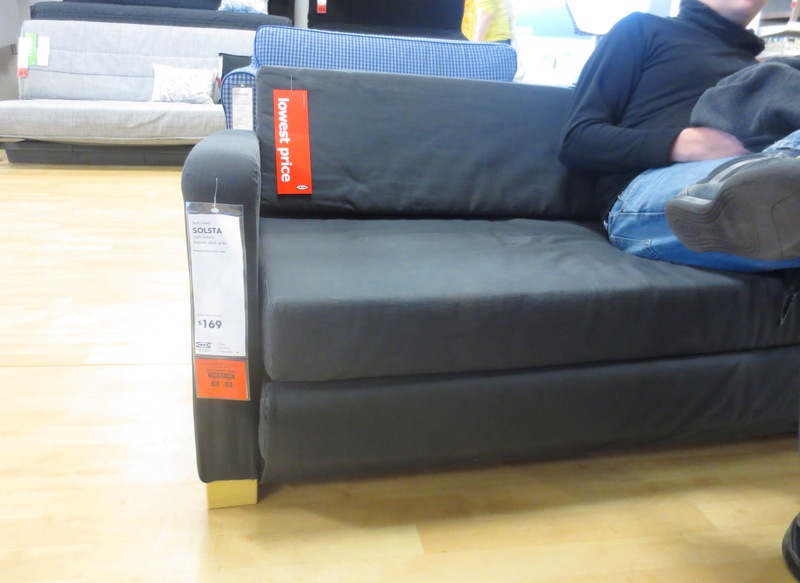 Bring a shopping partner who is at least 6′ 4″ and make him sit on the couches to give them a sense of scale. See? Now it looks like Kindergarten furniture. Polypropylene rugs. Chemically identical to Velveeta. I don’t know how IKEA gets them to look so good in the catalog, but if it’s a sunny day, these rugs will start to melt in the back of your car on the way home. * Semi-annual = twice a year. Biannual = every two years. 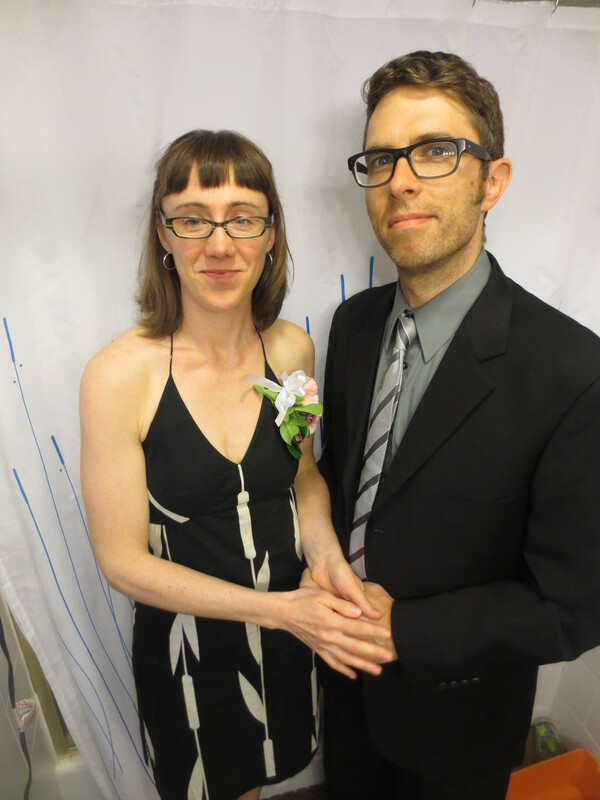 ** Adult Prom is a real thing we just invented because none of our friends are getting married anymore, and it’s fun to dress up and drink punch. I just went to IKEA for the first time a week ago with my friend– wish I had had this guide before I went, would have been extremely helpful 🙂 This is excellent! Well… how did it go? Sarah, usually by the time I get to the market I am too frazzled to shop any longer. And then I panic because I have no idea how I’m going to fit any of my purchases in the car (or on my bike, which I’ve done a few times). Though I’ll confess to giving in to the cinnamon roll temptation on more than one occasion. Tip — They smell much better than they taste! Next time I’ll go for the lingonberry jam. All of the above, but now add in a 1200 mile round trip to get there, because I live 600 miles from the nearest one. And when I get there, I can’t even eat the meatballs (they’ve got something in them I’m allergic to). However, the mustard and dill dressing in the food market is outstanding, and I always come home with a couple of jars of that. As always, a very, very, VERY funny post. 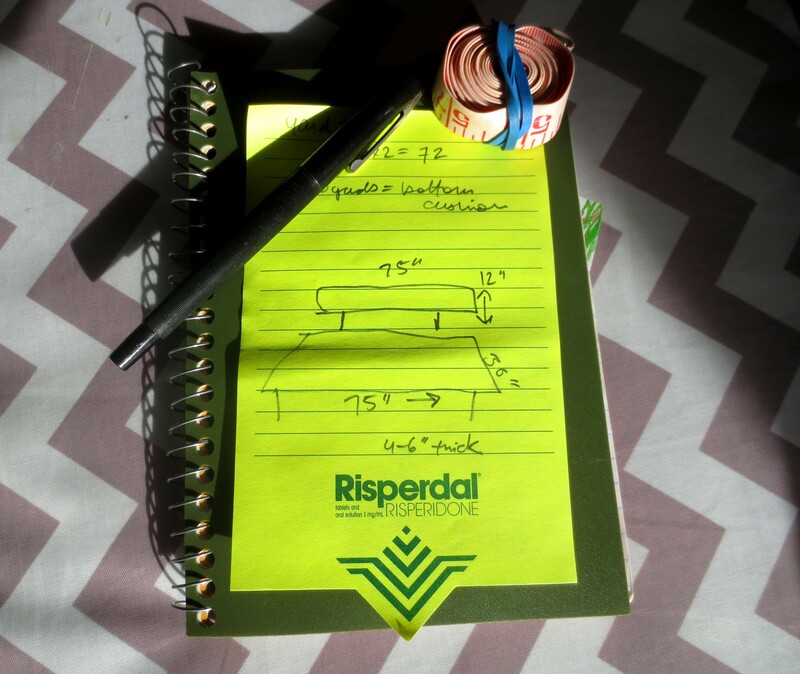 Love your advice to be a good neighbor but I’d also want someone to help me build the piece… I never can get their goods to git together properly. They have good chocolate cake. Very funny and so true about the walking. The Ikea near us is the largest in the southern hemisphere and has 2.5 kms of walk ways. By the time you’ve realised you went way past what you were after you’ll have done 10kms. Ikea really has gone down the drain though. I remember when I was a wee child that my parents considered it top quality design. Now some of the stuff they make barely lasts a week. Still, it does look good. I found your blog today and spent my afternoon reading thru all your posts…….you are sooooooo funny Clare. I live in Grand Rapids and have many times made the trek to Schaumberg for the IKEA fix. I usually miss the exit on 90 too since it has to be the most jacked up one on the planet. I shared this with my good friend Renee who candidly offered her tip. Be sure to look at the camera at the loading dock and smile pretty while you play “Tetris” trying to load all the crap you bought into your mini-van. Keep up the great blogging, and I’ll check back often when I need a good giggle. Thanks for visiting Projectophile, Chantele! I never thought of how hilarious the video of the loading dock must be. If I were an IKEA employee, I would steal the video and make a “best of” series. There are probably many marriages falling apart right then and there. Though I’m happy to report the few times I’ve gone to IKEA with my actual husband, he is a master at getting everything into (usually a rental or borrowed) car. And since I’m typically the one driving, he gets to hang halfway out the window to make room for the crazy particleboard thing we just bought! Run on your stumps had me roaring. Haha… I agreed with everything. 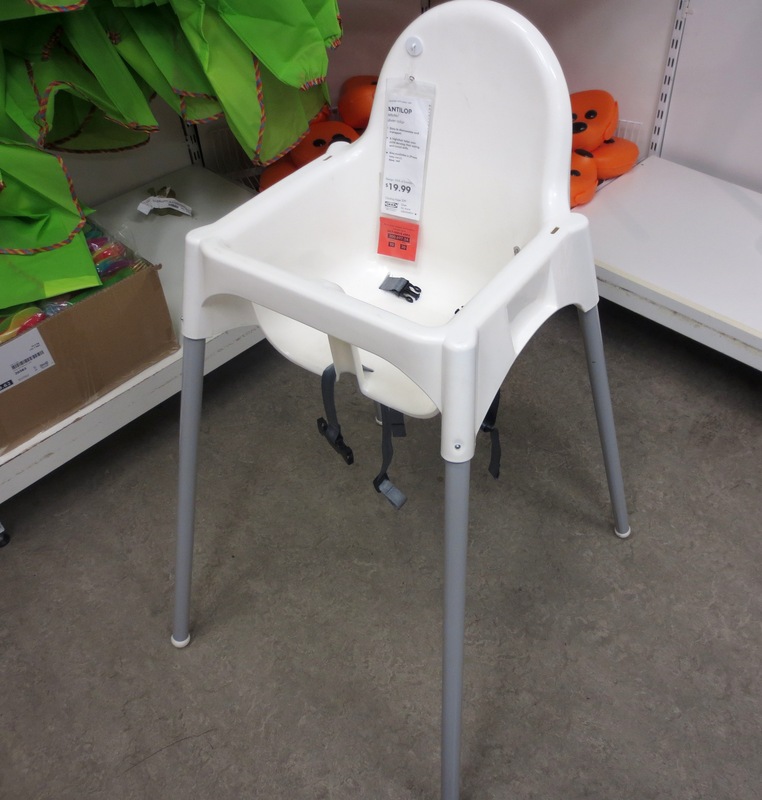 There is something magical about IKEA, even if you just get ideas. But I never under any circumstances go with my boyfriend. Looks like I’m coming into this convo about three years too late but I have to say, this was absolutely spot on! Not to mention, hilarious, too!!!! I’m an Ikea addict but more for the design element then the actual manufacturing. 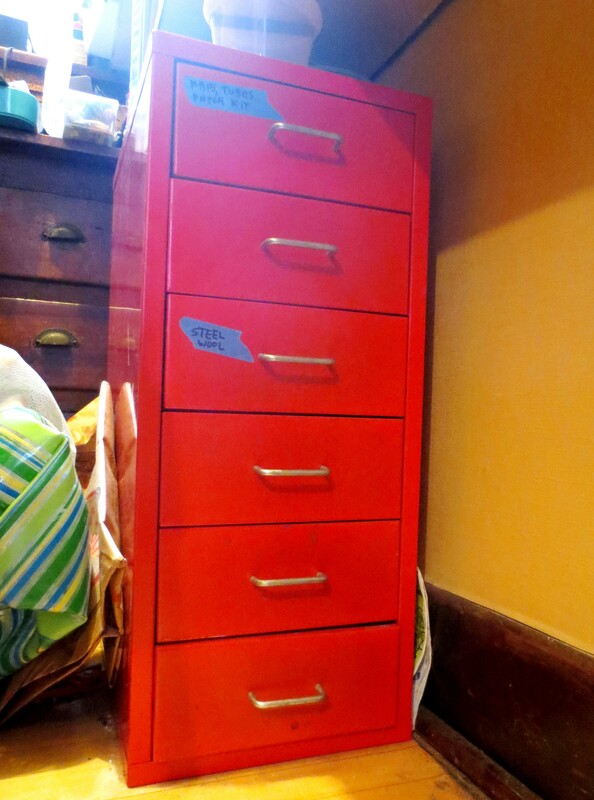 However, the Expedit (now Kallax) is the most hackable piece of furniture in the world! LOVE it! Welcome aboard, Kelley! I don’t think much has changed since I first posted this. Oh, IKEA, I just can’t quit you. Well, thank you very much! 😉 I look forward to reading more about your Ikea (and others, too!) experiences! Cheers, Clare! Our son and daughter in law just went to their first IKEA. I was so excited for them! I asked a million questions. My son explained they were there and hour or so and did not buy anything! What the …..! That is impossible. I went to the motherland of IKEA just after it opened in Stockholm Sweden while still in single digits age wise and I bought something! Where does he think I get his lingonberry jam from? How could he not have meatballs? More importantly, I NEEDED stuff! Like lingonberry ANYTHING! And meatballs! I fit my pregnant daughter, grandson still in a car seat and 1K in furniture, necessities and food into my German SUV because we are military and we are seriously trained in packing vehicles. And the nearest IKEA was 475 miles. I can only guess our son did not find anything he could climb into, onto, or up with out breaking.